Proprietary blend that includes various Dead Sea Salt crystal sizes. Use in bath salts. Can be left as is or colored and fragranced! 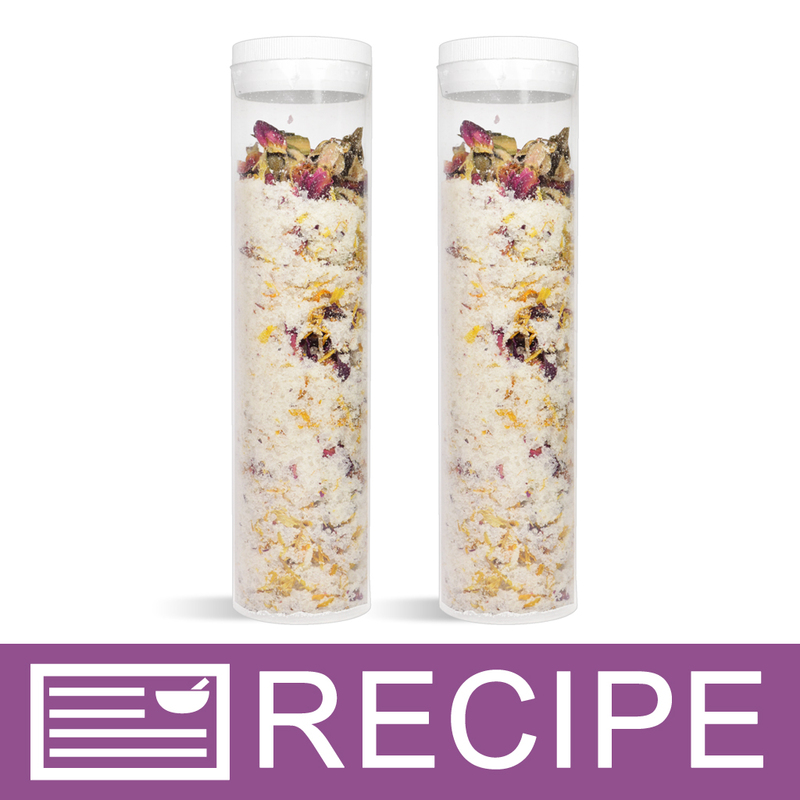 Create unique batches of bath salts with this blend of salts! The waters from the Dead Sea are unique in that they contain 27% of various salts as compared to 3% in normal sea water. Further, while sodium accounts for approximately 80% of the salt content of normal sea water, it comprises much less of the salt total in water from the Dead Sea. The balance of the salts in Dead Sea water are magnesium, potassium, calcium chloride and bromides. Proprietary blend that includes various salt crystal sizes. Add color and fragrance as directed. 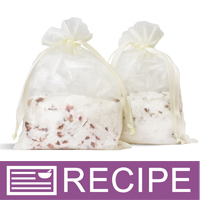 If salts are moist, allow to naturally dry in open air before packaging. COMMENTS: a must have in my foot soaks! COMMENTS: Loving this pure salt sooooo much!!!! This salt is much brighter white than expected! It is a bit harder against the skin than some of the other salts but still gives a great finished product when used in small amounts. I use this in all my salt scrubs. • How big it is. COMMENTS: These worked perfectly in my bath salt mixes! COMMENTS: I am so happy that I tried this blend! They were excellent, small enough to melt in the water without hurting your bottom, took color beautifully and made the total product a hit with my customers. COMMENTS: I love the different sizes of salt in this blend! I mix it with other types of salts and it gives a nice texture to the finished product. It holds fragrance really well and dissolves well in bathwater. "Great for Bath Salt Blends"
COMMENTS: I've been purchasing the Dead Sea Salts along with European Salts and combine with Epsom Salts for a bath salt blend. I like the different sizes and shapes which make the finished product stand out from ordinary store bath salts. I use the salt tubes for gift baskets, which I really like however, it states that they hold 6oz which in fact they only hold 3oz.if anyone should need to know this. I am getting my business up and running again after a move and a few other bumps in the road, looking forward to it. COMMENTS: A great bang for your buck, product is high quality and easy to work with. "Really nice to work with"
COMMENTS: I made some sample salt blends with all the salts I purchased. My customers loved how they were presented. I added some colors to them to match the Pink, Black and Red Salts which were natural from WSP also. It was colorful and eye-catching for customers. I will definitely be buying more. "very good quality at a great price"
COMMENTS: I love salts of every form, these dead sea salts are a great addition to my line of bath tub treats. The different sized salts are a great add to scrubs too! 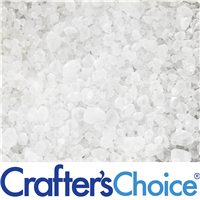 "Crafters Choice™ Salt Blend - Dead Sea (Pure Salt)"
COMMENTS: I love the texture of this blend. Pefect for my products! COMMENTS: The salt sizes for this is perfect. Just scoop and you're done! No awkward weird mixes of small and large grains. COMMENTS: Makes great gifts when color and fragrance is added to this beautiful sculpture salt. Look very elegant in mason jars with a touch of flower and love. COMMENTS: Perfect blend for my bath salt recipes! Will continue to buy this blend again & again!! COMMENTS: This is a top seller especially when I mix it with the epsom salts. It soaks up the scent so well that I was able to cut my ratio in half. COMMENTS: great for bath salts, I love the blend with small to large particles. COMMENTS: I really like that this blend is all dead sea salt but different size grains. I have used this in salts and also scrubs with great results. COMMENTS: Used for bath soaks. Held fragrance well. Easy to work with. Customers enjoyed it. COMMENTS: Nice blend of dead sea salts at a good price. COMMENTS: Great product, easy to use, nice price! COMMENTS: Used in a Salt Scrub. Was a little scratchy, but I used the coffee grinder to "whirrrr"it up a bit and it was perfect! COMMENTS: I always try my own recipes and I have to say that I enjoy my mixture of salts including this one! COMMENTS: Great product for scrubs and salt soap. "Salt Blend - Dead Sea ("
COMMENTS: I really liked this salt and loved that it came in a variety of sizes. It mixes well with my herbs and essential oils. COMMENTS: I love this Dead Sea salt blend for my bath salts. It has all the sizes of dead sea salt mixed together. Before I was buying separate bags and mixing the sizes on my own, so this saves a lot of time and trouble. Note: I have found a few sea shell pieces, or something similar, in this salt blend. 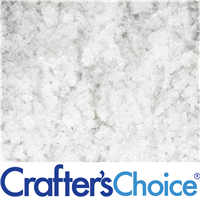 COMMENTS: I rec'd this salt as part of the Salt Sampler Kit...great quality...absorbs fragrance well...colors well...I believe I will order some more. COMMENTS: I made a sea salt soap bar using these salts. It turned out so amazing. I used it with the paris f/o and everyone is in love. I also used honey and vitamin E oil. Wow. It's a great selling bar. COMMENTS: This sea salt has a great texture! From big "bits" to small 'crumbs', this adds lovely texture and interest to any item! COMMENTS: Very fine, uniform crystals. Perfect for a hand scrub and bath salts. COMMENTS: I use this to relax my muscles and to soak my feet and it rally does the job. COMMENTS: I used to buy different sizes of dead sea salts and make my own blends. This saves me time by already blending the different salt sizes so I only need to add my other varieties of salts and additives. COMMENTS: I absolutely love these Dead Sea salts!! I use them in bath salts as well as bath bombs. They provide great minerals to any soak after a long day! 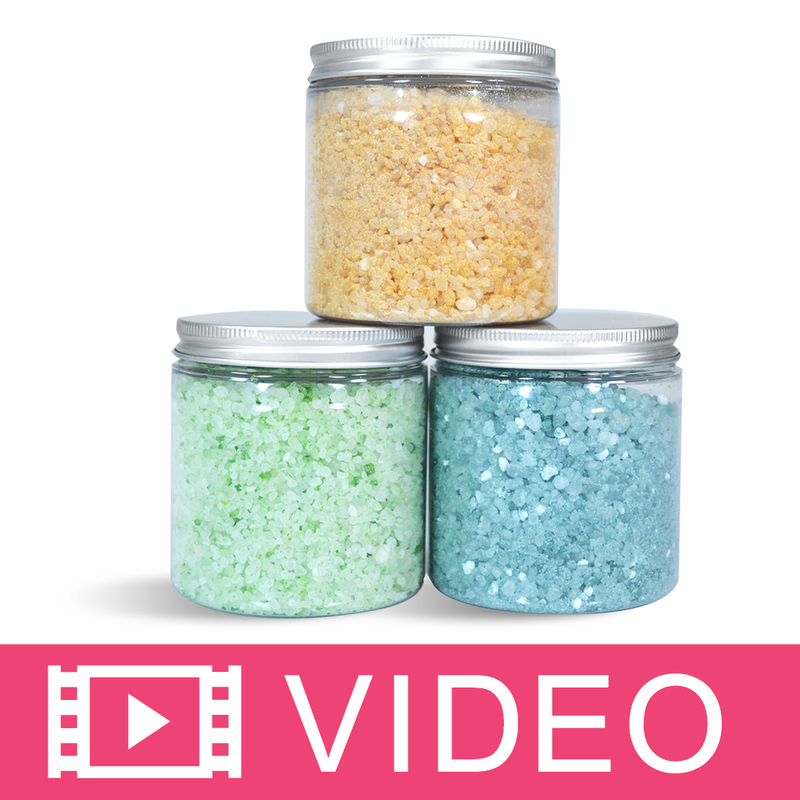 COMMENTS: I like the blended sea salt because it adds a little visual appeal to the salt scrubs I make. Sometimes I add salt to the top of a cold process soap creation, and the variety in size of the salt crystals looks very nice. "terrific salts for bath items"
COMMENTS: LOVE these salts although I would like the pieces to be a bit bigger to show off bath salts better. However, the use is terrific. Everyone loves them...I make bath salts and they love them. COMMENTS: Love this blend for my bath salts! COMMENTS: I'm a beginning bath salt crafter after seeing some DIY videos on the internet and wanting to make special self-care baskets for the very giving men and women I work with in a Direct Care agency. These are wonderful salts with reputed healing properties, the variety of sizes in the mixture takes the guess work out (and increased cost) and are very easy to work with. I did floral, herbal and simple mixtures; as well as Muscle Relief and Sinus Relief bath tea bags for those more masculine members of our team who faint like Victorian Maidens at the thought of using any type of "fragranced" product and these salts held up great through all the different mixtures! Thanks WSP! COMMENTS: This I am torn on, makes bars SO SILKY but they don't last as long. They are a wonderful gentle exfoliate, not harsh or scratchy. COMMENTS: I love dead sea salt so much! They work great for bath salts and body scrubs! They make for such beautiful products and provide so many wonderful minerals. 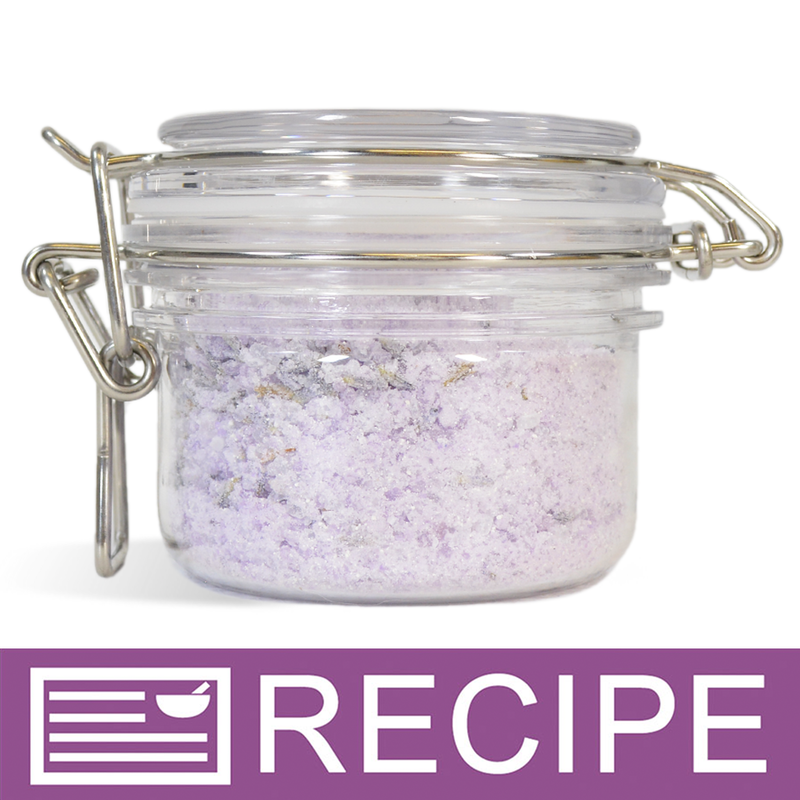 COMMENTS: This salt is perfect for sugar scrubs, as the pieces of salt are rater large and do a great job of exfoliation. COMMENTS: I love this blend, has a great amount of smaller and larger grains! Melts perfectly in a nice big hot bath! COMMENTS: has numerous uses and benifits for the skin . a must to try with any recipe. COMMENTS: I was a little apprehensive about ordering this at first. Because I was afraid I would get a bunch of just powdery or small salts. Previously, I had ordered 1 pound bags of each texture to sample them and mix my own blend. Well, I was totally pleasantly surprised when I tried the WSP "blend". It was perfect. A great mix. I could not have done it better myself. Customers responded well to it. I am ordering more! COMMENTS: Great price and free shipping makes it even better! COMMENTS: Only salt I will use. I love the different textures of salt and the way it takes color. COMMENTS: My customers loved this, I did bath tea and multiple scented salt blends. Great price too! COMMENTS: I do my own blend of salts for natural bath salts. This is one of the top salts that I mix! COMMENTS: This salt is amazing and I would highly recommend it if you haven't tried it! Great price! "Very nice for bath salts"
COMMENTS: I bought these to make bath salts to sell. I haven't gotten around to making some to sell but I tried some for personal use. I was very impressed by the quality, much better than the salts that are usually found in bath kits. COMMENTS: I was happy to find these salts on WSP website. I like the blend of salt and size of salts, and the bag it comes in. The price is great! Staff Answer No you cannot. We are not a food packaging facility and none of our products are meant to be ingested. "If you add FO or EO, do you have to wait a certain amount of time before you put it in a container?" Staff Answer After you add Fragrance or Essential Oil to Bath Salts we recommend to spread the salts out on a cookie sheet and let the salts sit over night before you package them. "Can this be used with MP Soap or will it make the soap get soft?" Staff Answer In our experience, using Dead Sea Salt with MP Soap will cause the soap to get soft. European Spa Salts, Epsom Salts, Dendritic Salt, and Bath Water Crystals should all work well instead. "Does this contain any other types of salt besides dead sea salt, or is it just a blend of the crystal sizes?" I have ordered this before and it is just a blend of the crystal sizes - as noted in the ingredients, it is simply pure dead sea salt.